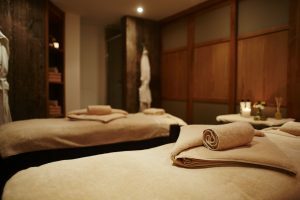 Welcome to wellness with spa industry insider! Cowshed Spa. This I had to see. Was it in a barn? I was in for a delightful visit and a few surprises. Cowshed Spa is actually a chain of spas. The very first spa opened at Babington House, Somerset, UK in 1998… in the old cow shed. Since then they have stayed true to their vision to offer beautiful spas. Cowshed products are organic based and designed to be effective. 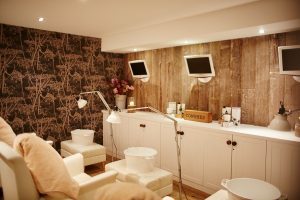 In addition to Cowshed spas, they are also located in the Soho group chain in the US, the UK and Europe. Cornwall, UK. A beautiful, coastal location, it teems with tourists during the summer. When the crowds die down, the locals book again. They have the enviable position of little to no slow season. Cowshed calls themselves “sociable” and for good reason. Beautiful and elegant, the mood is relaxed, friendly and social. You’re invited to come with friends, have services, visit and make new friends. They’re famous for detail manicure-pedicure area invites chatting and visiting. Gorgeous. But don’t let the names fool you. Each product meets a purpose. All have high levels of essential oils for therapeutic results. Botanicals come from their own gardens. 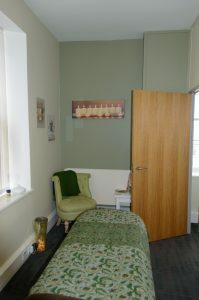 Seven different mood blends focus on client’s needs and the goal of the therapy. Tired, try Knackered Cow. Stressed – Grumpy Cow. In a well, playful mood – Horny Cow. The list goes on. Dirty Cow, Grubby Cow or Mucky Cow wash skin clean and leave it conditioned. The treatment menu is impressive. Face, body, hands feet, waxing and a variety of packages. Men get their own special attention treatments. The Udderly Gorgeous treatments were the most unique. 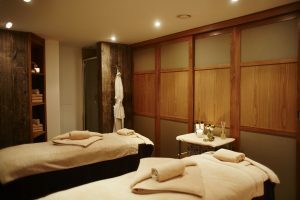 Indulgent, relaxing, pampering and designed for clients that are 12 weeks pregnant or more. They have taken every need of the pregnant client, and their safety, into consideration. Furniture, cushioning, positioning. After the first trimester, Moms-to-be may have services until the big event. Post-delivery treatments are also available to help the new mom de-stress… and get her skin back in condition. When you are visiting Cornwall, London, Somerset, Oxfordshire, or near a Soho property, relax and have a little fun at the Cowshed. 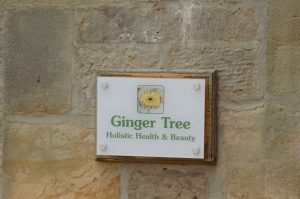 The Ginger Tree sits amidst the most beautiful, serene area in England. The Yorkshire Dales. Ginger Tree is a short 1.5-mile drive from Richmond. It attracts visitors and locals from across the area. Peaceful, quiet, secluded, it prompts relaxation. Ginger Tree is located in an impressive Victorian building. 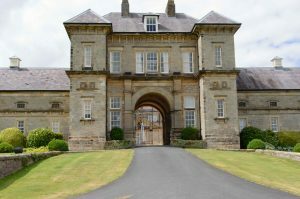 Originally built as the horse stable for a nearby mansion. Walking in the stone paved courtyard, you expect the clatter of hooves. Renovations took place in the late 1990s. 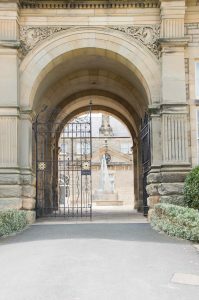 They retained the gorgeous stone exterior. Insides were redone to meet modern needs. State of the art, eco-friendly Ascot Stables opened in 2000. Now over two dozen companies call it home. 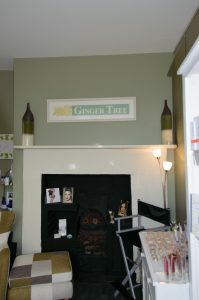 Ginger Tree owner, Kathy, selected Ascot Stables for the tranquil setting. She loves the relaxing gardens and ample parking. Aske Entry and Courtyard stunning and serene and ample parking. It has great proximity to local towns. It was a winning decision and her clients love it. Kathy is an escapee of London’s hectic pace. She brought her extensive training and skills to the peace of the Dales. Pamper yourself with a massage, facial or body treatment. Stay groomed with natural nail care. Enlist her as your makeup artist for your special event. She even helps with hair. Here you will find what you need. 70% natural and organic ingredients. To treat the unique needs of each client she maintains diversity. Environ – physician developed therapeutic skin care for dramatic improvement. Pink Boutique – handcrafted organic aromatherapy. 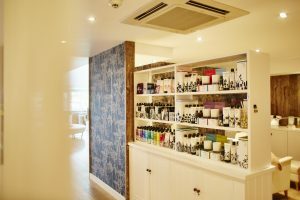 Neal’s Yard -organic skin care. SpaRitual – eco-friendly vegan nail care. Advanced Nutrition Program – supplements for beauty from the inside out. Customized therapies encourage you to relax, renew, rejuvenate. Her vision has been for a total wellness center. In September 2016 this came to fruition. The Ginger Tree facility expanded. Locals are lucky to have such a well thought out holistic center nearby. It is the trend of the future, today! Is Coconut Oil Right for YOU? How Healthy is Your Wellness Copy? If you want to improve your guest experience and ADR visit my professional page. Healthy engaging copy is your edge to increase guest rate and trackable growth. Judith Culp Creative Copy.